Fatigue Science is a leader in fatigue-related risk management and human performance optimization. We helped define the product strategy and design solutions that span web, native iOS and Android mobile apps. We also created a visual identity system that embodies the brand's ethos of elevating human potential. 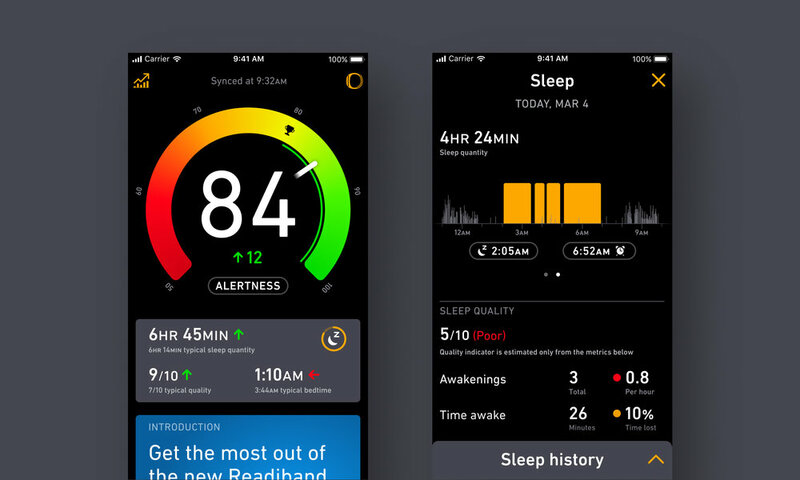 A wrist-worn sleep tracker syncs the wearer’s data to an iOS or Android app. This allows them to self manage their fatigue by understanding sleep patterns – ultimately leading to better sleep habits, a safer work environment, and healthier lives. 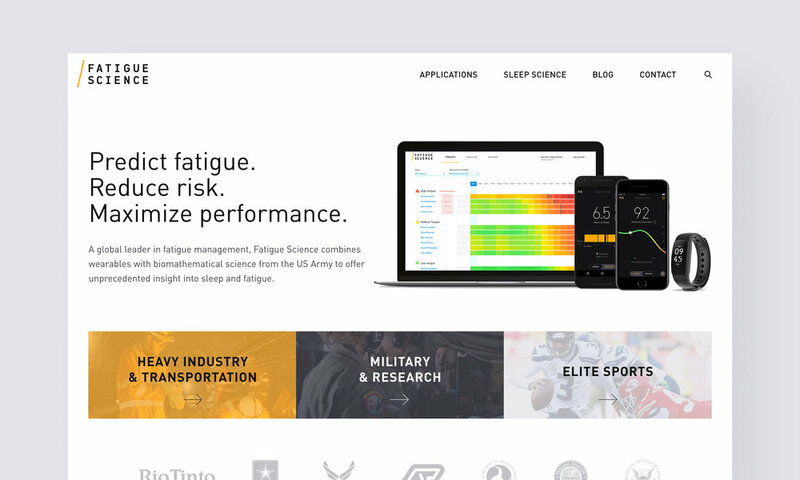 The Fatigue Science web app allows managers to measure, predict, and manage fatigue across their workforce or sports teams. The style guide and component library allows for cohesive designs and an expedited design process.